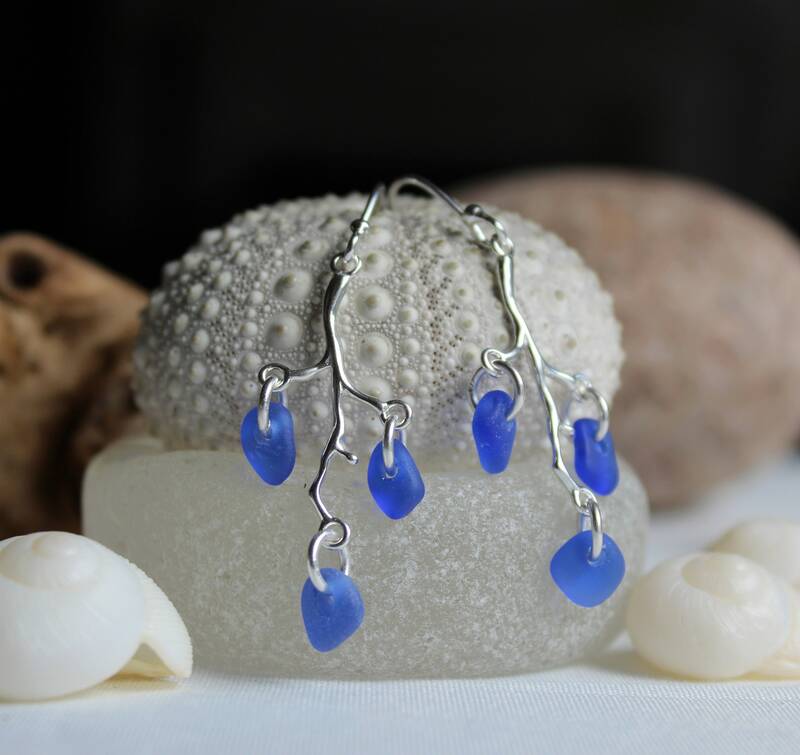 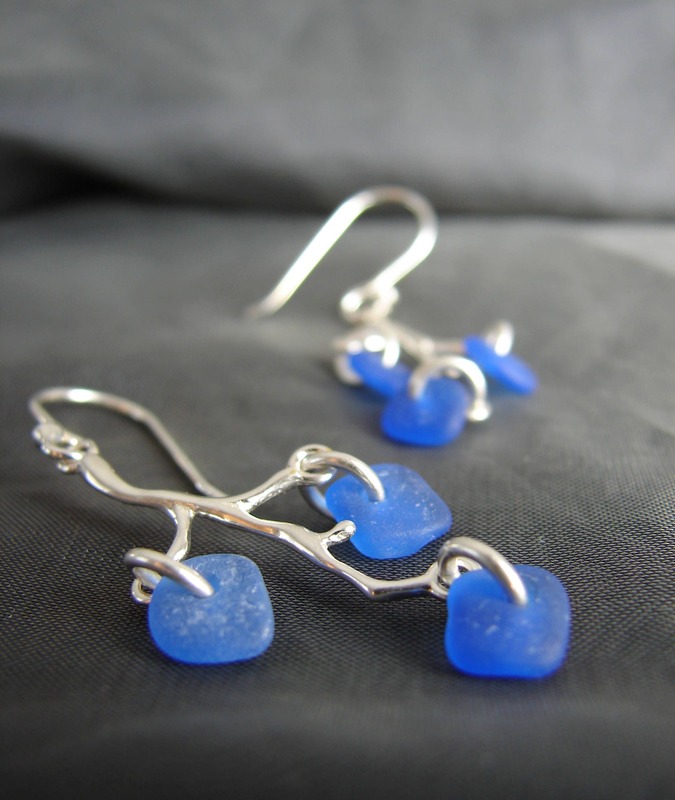 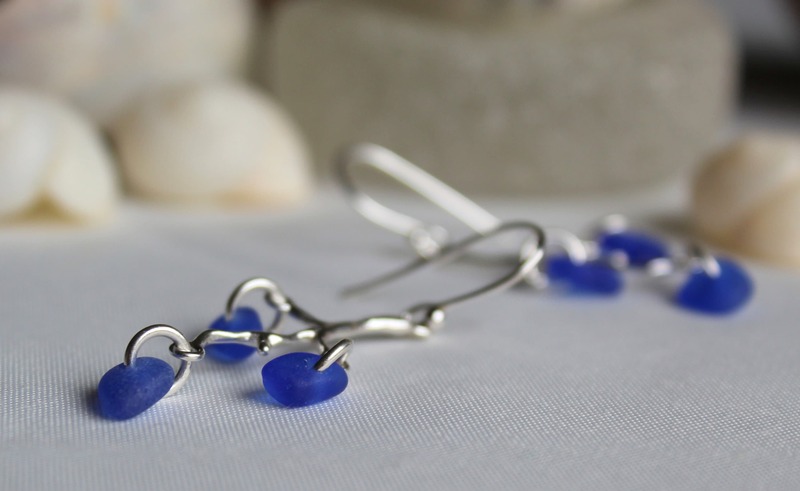 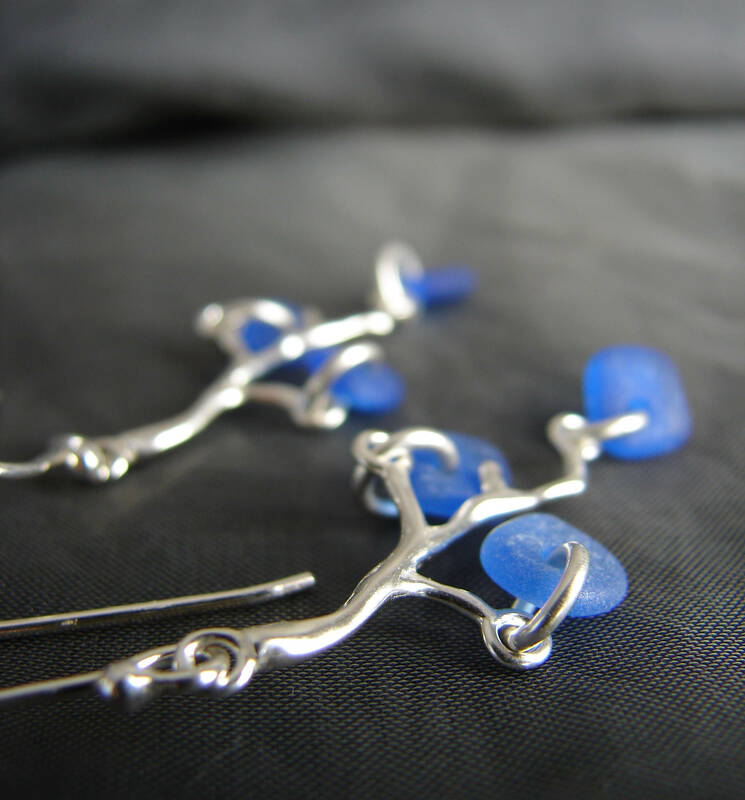 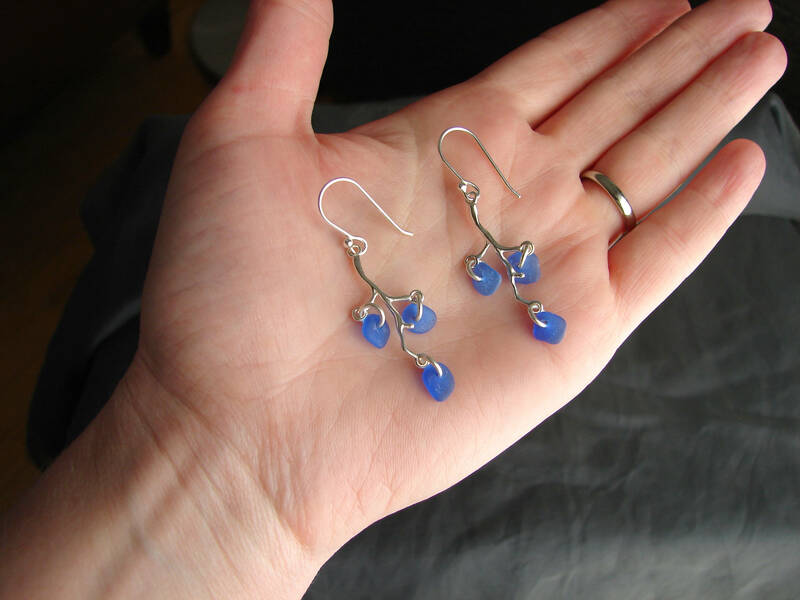 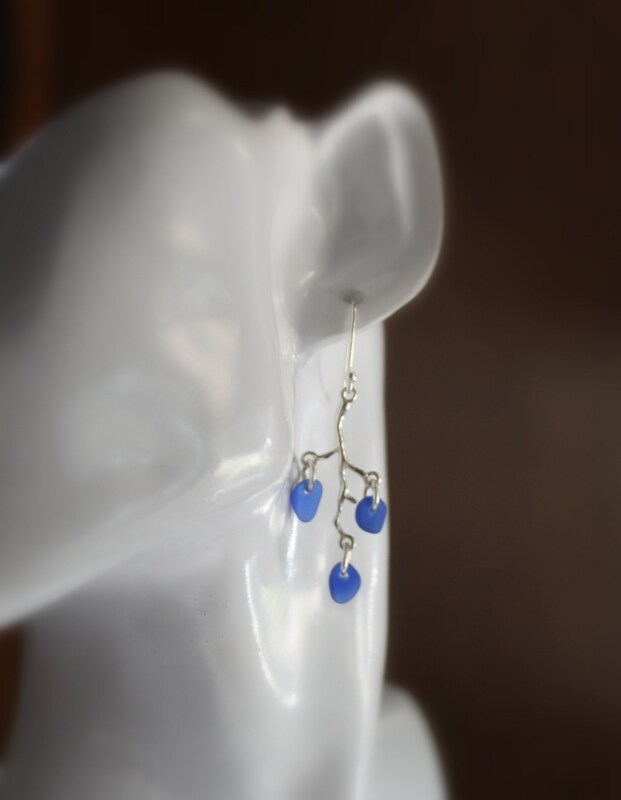 Our Winterberry sea glass earrings feature tiny pieces of genuine cobalt blue beach glass dangling from sterling silver branches and earwires. 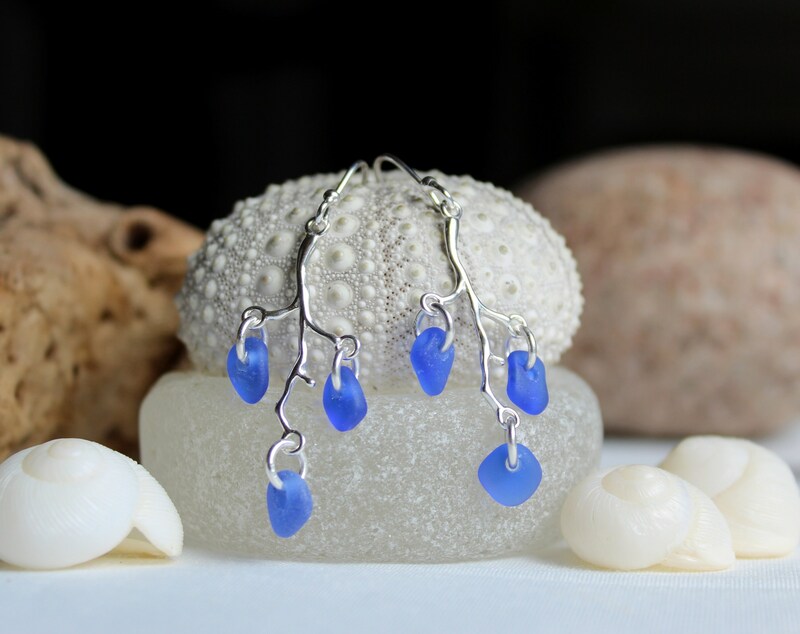 These earrings are lightweight and have lovely movement, perfect for your beach wedding or long summer evenings. 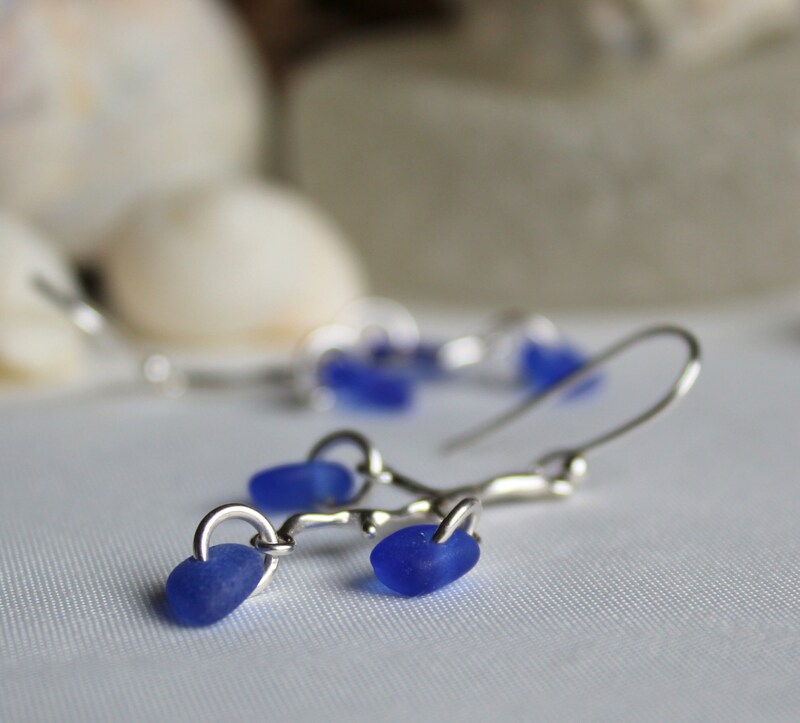 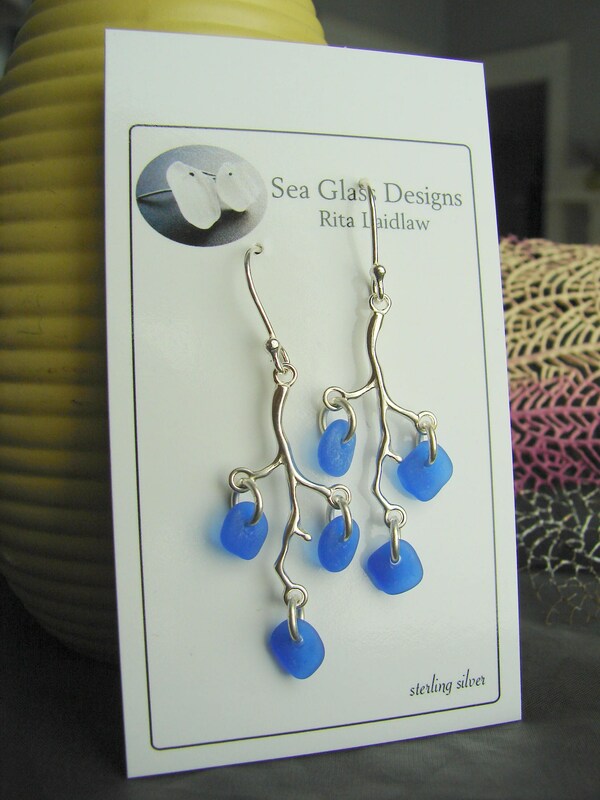 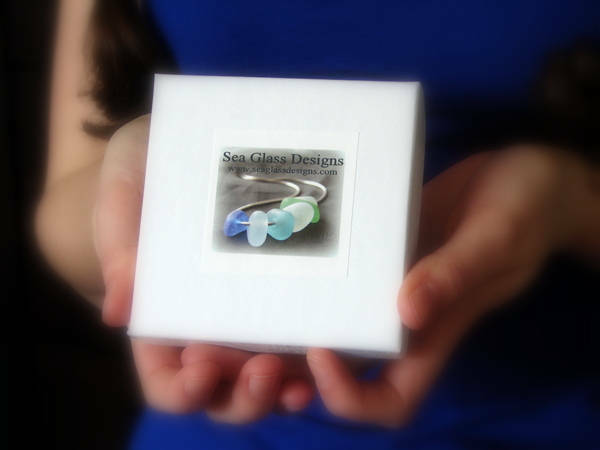 Please note that your earrings will have the same colour of sea glass pictured, but the shape of the glass will vary slightly due to the natural differences in genuine sea glass.